With the passing of each month, within each year, our thoughts and emotions have a tendency to change. When my kids were young, August meant back to school. Shopping for supplies, stocking up on lunch items and finding the perfect first day of school outfit. Mentally preparing for the busy schedule and less sleep. Later, as a school secretary, August meant the end of my summer break and back to work. Now things are really different. August reminds me that summer’s end is near and to enjoy the warm sun…but it’s not the end of summer any more. I love the feeling that now in August, summer is still here. It’s hot but I’ve got daisies and hydrangeas in bloom so I thought I would share them with you. These summer flower watercolor printables will join my Watercolor Printable Series: Flowers & Herbs. 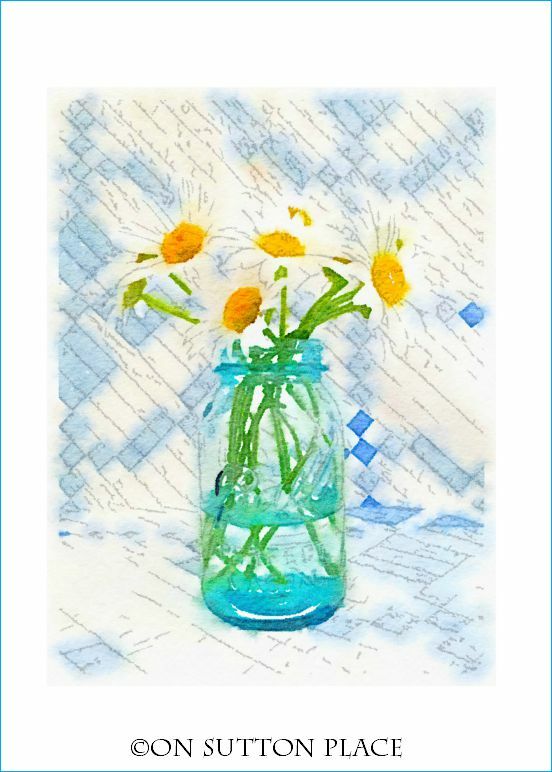 No…I didn’t actually paint them, but I grew the flowers, took the still life photographs, and digitally transformed them into watercolors. I love making these and they are basically free wall art. I have some frames in my entry where I change the artwork seasonally. I see them as I come down my stairs or go out the front door…and I smile every time. Here’s a shot with peony printables and a motherhood quote in the frames. « All Things Crafty | 100 DIY Ideas! Thank you so much for your generosity in sharing in your talents! There must be an invisible halo over your head 24/7! Thank you for sharing your many talents with us! You know, I miss the days when it was time to get ready for a new school year. It was a time for new and exciting adventures – even those years when I really dreaded returning to school myself. Thank so much for sharing your BEAUTIFUL art with us. I love the bright and cheerful designs! Hi Jennie! My frames are 11 x 14. The mats have an opening that is 5 x 7. If you want the watercolors to be bigger, get a mat that has an 8 x 10 opening. I think that’s what my red Christmas ones are. Have fun! Love your thoughts on August…and so kind of you to share the watercolor prints…Thank you! Ann, your beautiful floral water colors made my day as did your words! As a retired teacher and mother, you touched my heart! Thanks so much! These are just so beautiful Ann, thank you!!! I love watercolor pictures and these are lovely. Thank you for sharing them with us. ???? Hi Ann! Oh, these are just beautiful and thank you so much for making them for us! Hope you’re doing well. They are so pretty Ann! Anything mason jar makes me smile. I love your watercolor printables, and I have several around my home. Thank you!! Thanks so much for the great posters. I’ve used several as the seasons roll through. beautiful floral printables but my page was ‘blank’ and I couldn’t load it. not sure if the problem is on my end or your end. 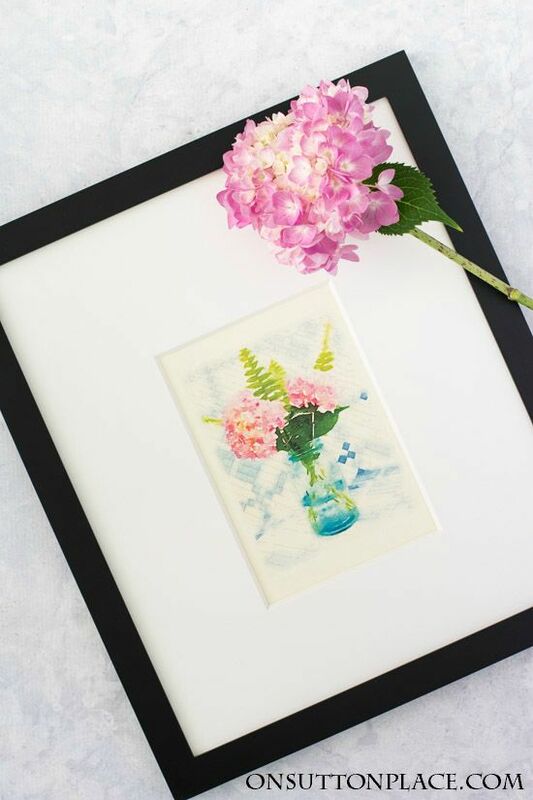 Just to want to tell you that these watercolors printables are absolutely lovely. I love your blog and all the recipes and craft ideas. Your home is beautiful and I want to thank you for your generosity in sharing it with all of us. You are most welcome Carole…and thank YOU for following along. I just want to let you know how much I love your website, especially…..let’s say Everything. The printables are just awesome.Thanks so much. Thanks so much for all the wonderful ideas you share ! 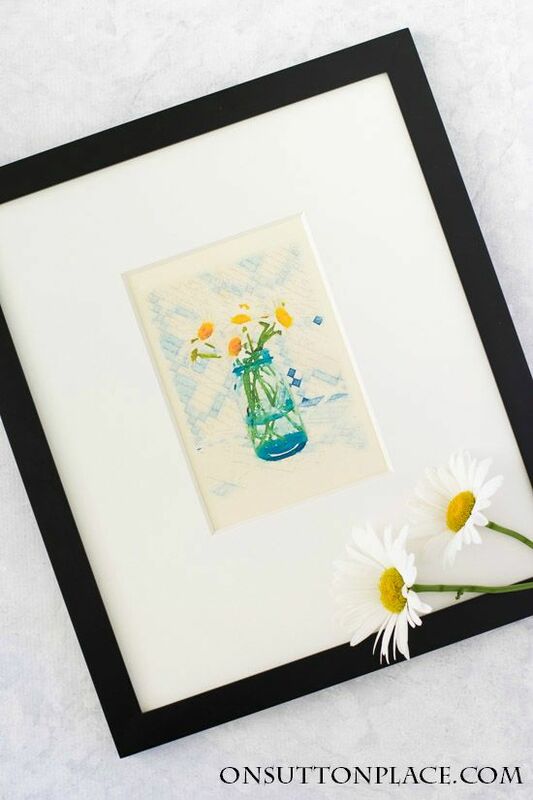 Ann, thank you so much for giving us these beautiful, clean prints to use! I love all of them!! 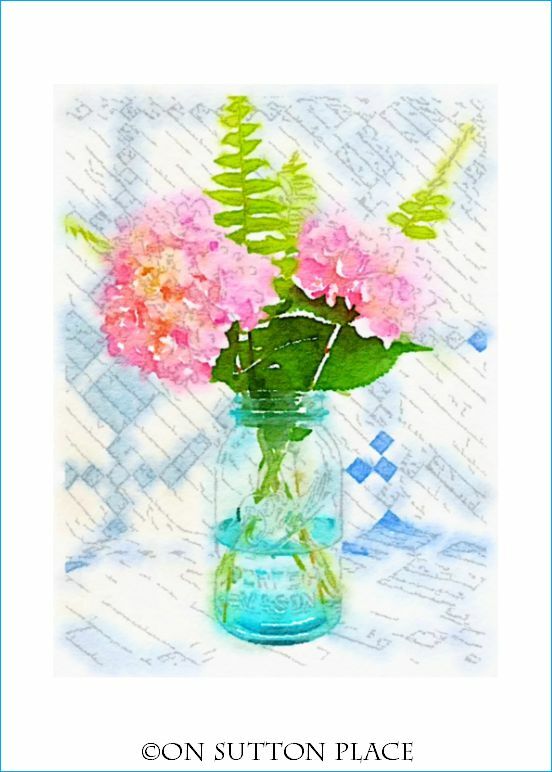 Thank you for sharing your watercolor printables. I LOVE them and have a revolving display of them in my office at work. They receive many compliments and people often ask “where did you buy those?” I enjoy telling them to check out “On Sutton Place”, the most REAL, blog out there! She offers them to readers! Oh, and thanks to you and your watercolor prints, I’ve become a huge fan of the Waterlogue app. You are welcome Donna and thank you for spreading the word! I’m glad you discovered Waterlogue…I think it’s about the most fun app ever! How pretty Ann, nothing better than fresh flowers from the garden. I love your hydrangeas, mine didn’t make it through the winter and I was so disappointed. I love these Ann. I hang your printables all over my home and office. They are beautiful, thank you. ???? I LOVE mason jars, hydrangeas, and daisies, so my head is spinning with ways I want to utilize these printables! Thank you so much for sharing the artwork you created from your gorgeous photos. Congratulations on the success of your Christmas in July sale….I am looking forward to the arrival of my order. I enjoy reading your posts and am inspired by what you do. Wishing you continued success on all of your creative endeavors! I am amazed by all the ways we can convert the ordinary into art.